I was invited to a potluck style party and my first initial thought of what to bring was my go-to potluck dish, a Caprese Salad. But I have been trying to challenge myself lately and didn’t want to just rely on my go-to, and since I had been on a roll with baking lately I decided to give cupcakes a go. I wanted a fresh flavour since the party was falling on a hot summer day, so I chose strawberries as the star. I have never made cupcakes before, but they turned out pretty good and I got to use an electric hand mixer, so it was winning all around. The best part, licking the beaters :). 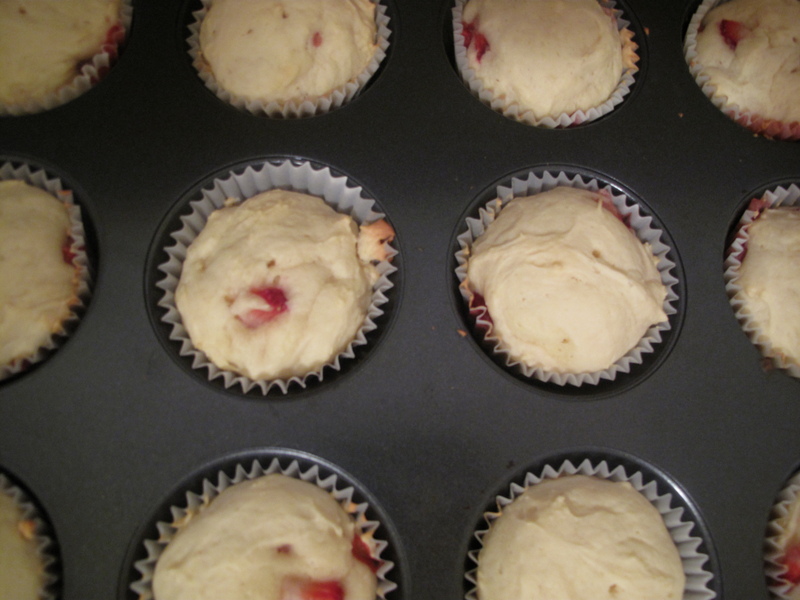 For these cupcakes, I made a buttercream icing and then last minute decided to toss in some diced strawberries, yum. The finished product! I don’t own any fancy icing stuff, so these just have icing slapped on top with a spatula, but I’m not picky. 1. Preheat oven to 350º. Line muffin tin with liners. 2. With an electric hand mixer, beat butter and sugar until it is fluffy. 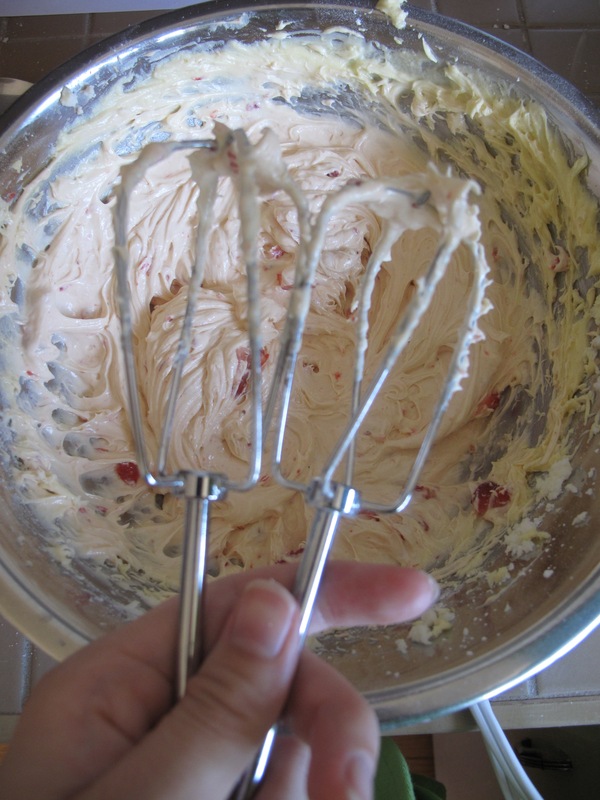 Beat in egg, yogurt and vanilla until mixture is smooth. 3. Mix dry ingredients in a separate bowl and then blend them into the wet mixture until smooth. Fold diced strawberries in. 4. Fill liners with mixture, it should fill each one up about halfway. Bake for about 20-25 mins or until a toothpick comes out clean. Move to a cooling rack. 5. For the icing, cream butter till soft with an electric hand mixer. Gradually add half of the icing sugar, beating till fluffy and smooth. Add egg yolks, vanilla and salt, blend well. Add the rest of the sugar and milk, beat till smooth. Add strawberries, blend in till mixture is a nice light pink and strawberries are distributed throughout. Place in fridge for about 15 minutes. 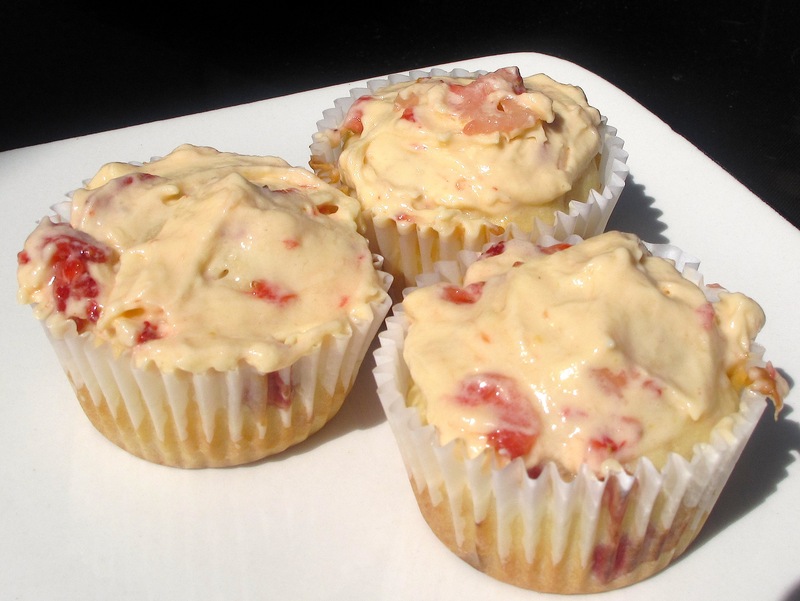 This entry was posted in Baking, Cupcakes, Dessert, Fruit and tagged baking, buttercream icing, cupcakes, food, Recipes, strawberries, strawberry cupcakes, strawberry icing by Karina. Bookmark the permalink. They look so pretty – bet they tasted great!